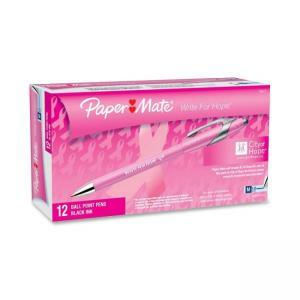 Pink Ribbon pen delivers the smooth writing Lubriglide ink system and support for breast cancer research. 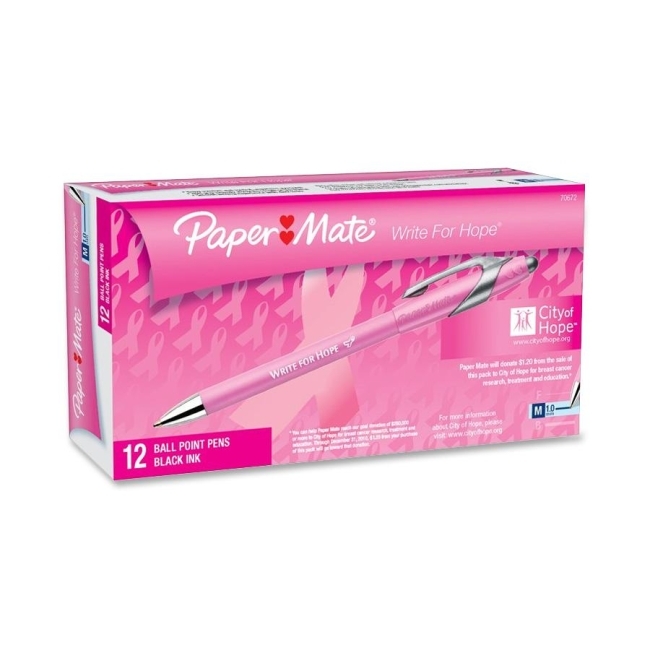 For each pen sold, Paper Mate will donate part of the proceeds to the nonprofit City of Hope Cancer Center for breast cancer research, treatment and education. Retractable pen also features a soft, rubberized barrel and antibacterial protection for your pen. Refillable.